Library 3dmax module - Table setting 3d model Collection library download the best file 3dmax, 3d models MAXBRUTE free. 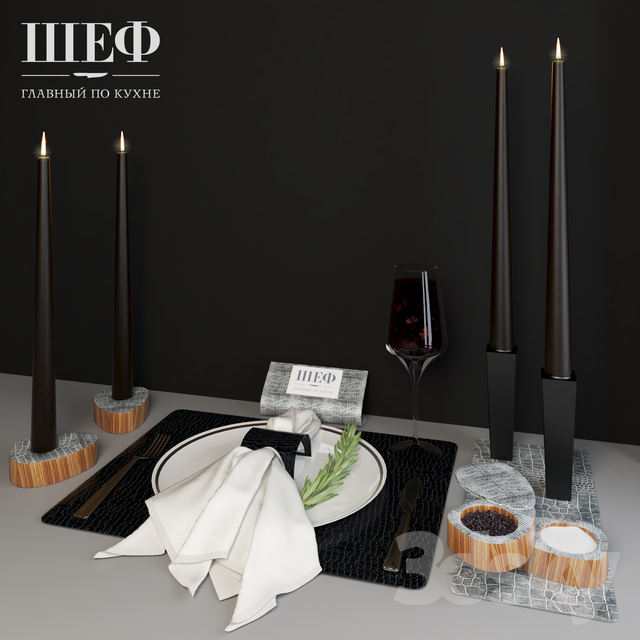 Items for serving the table from genuine leather LINDDNA, Denmark: substitution napkin, candlesticks, salt shaker. The background used for rendering in the scene is missing.